It's time for our monthly throwback week! I got into nail polish just a few months shy of the ever so loved China Glaze OMG collection. Thankfully, I didn't get into too late where I could not find these. I remember I purchased a few of these on Head2Toe Beauty just as they were being phased out. In hindsight, I wish I had bought the whole collection at the time, but I didn't know better then. I am happy with the ones I purchased and they're never leaving my collection. This color is one of my favorites. 2NITE is a medium blue linear holo. 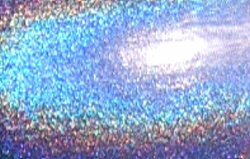 Color: This is an awesome blue holo. It looks very galactic/outer space like to me. It makes me think of Star Trek because I'm a Trekkie nerd. 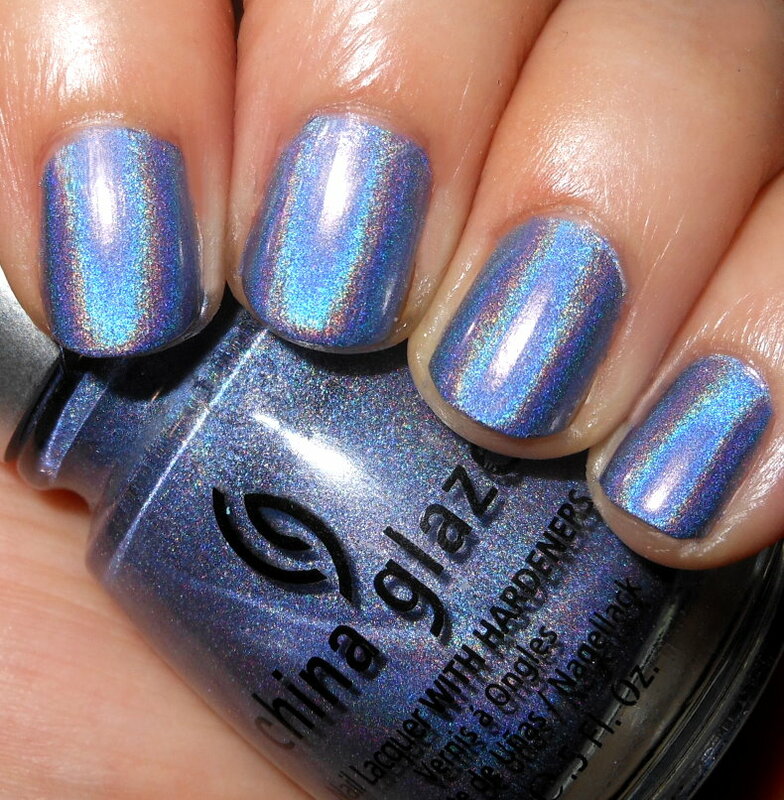 I love the linear holo in this, and I don't know if I really see true linear holos like this anymore? Can any direct me to any indies with holos this linear? Formula: This is where I know I've been spoiled lately. This formula is decent and works well enough, but it's not nearly as nice as current holo formula we see in indies. It is a bit patchy and sheer on application, but it is totally workable. I used 3 coats above. Price: These are VHTF (very hard to find) now, especially at a reasonable price. I do come across some on eBay for some hefty price tags. Overall: This is such an amazing nail polish. These holos are ones that really come to life on your nail. I always tend to bypass these in my collection because in the bottle they don't look that striking. These on the nail though have a really strong holo effect. I can look past the lackluster formula on these because of just how great it is in every other way. 2NITE is a gorgeous vintage polish!